Harajuku girl with twin braids in Bubbles t-shirt, hoodie, purple plaid skirt, white backpack and black shoes. Harajuku girls in platform shoes, wearing pastel outfits, colored contacts, tote bags and cute accessories. 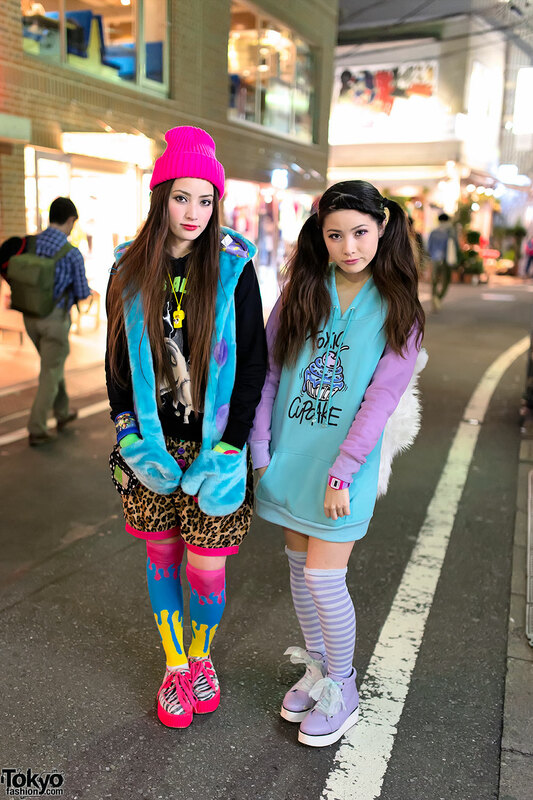 Colorfully dressed sisters in Harajuku with tiger head backpacks, a cupcake hoodie dress and neon pink creepers.